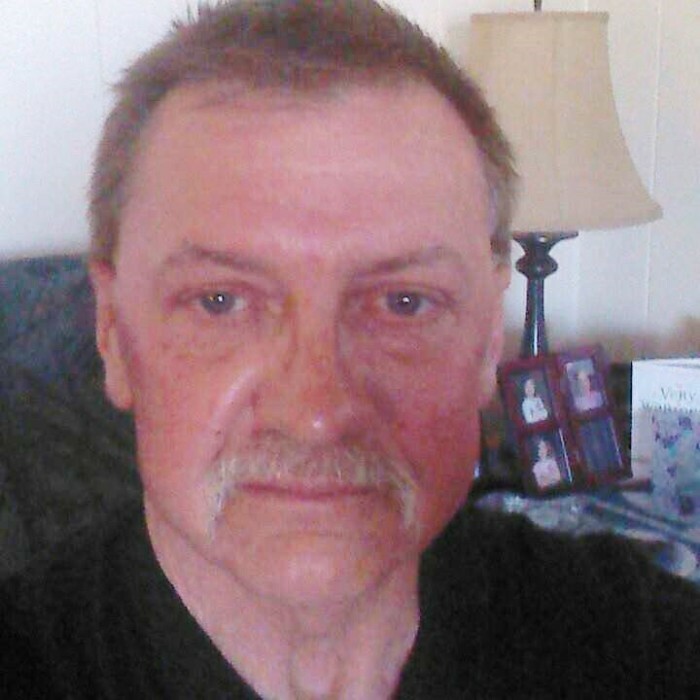 Alan D. Weber, age 59, of Russell, Kansas passed away Friday, August 31, 2018 in rural Barton County. Kansas. He was born September 30, 1958 in Hays, Kansas to Lawrence and Beatina (Kinderknecht) Weber. On March 11, 2008 he married Tammy Henning in St. John, Kansas. He had worked in the oilfields as a water truck driver. He enjoyed hunting, fishing, metal detecting and woodworking. He is survvied by his wife, Tammy Weber of Russell; his mother, Beatina Weber of Great Bend, Kansas; two step sons, Nicholas Griffin of Portage, Indiana and Jared Griffin of Santa Rosa, California; three step daughters, Audra Hoop of Russell, Victoria Wilder of Belpre, Kansas and Dannah Hill of Russell; a brother, Steve Weber (Terri Ediger) of Hutchinson, Kansas; three sisters, Marilyn Selle (Allen) of Great Bend, Wanda Weber (Tom Moore) of Hoisington, Kansas and Connie Weber (Bret Eulert) of Great Bend as well as 13 step grandchildren. Funeral services will be 1 PM Tuesday, September 4, 2018 at Brock’s-Keithley Funeral Chapel and Crematory 2509 Vine Hays, KS 67601. Burial will follow at Ft. Hays Memorial Gardens Cemetery. Visitation will be Tuesday 11:30 until service time at the funeral chapel. Memorial contributions are suggested to the JT VonLintel Outdoor Mentoring Program.